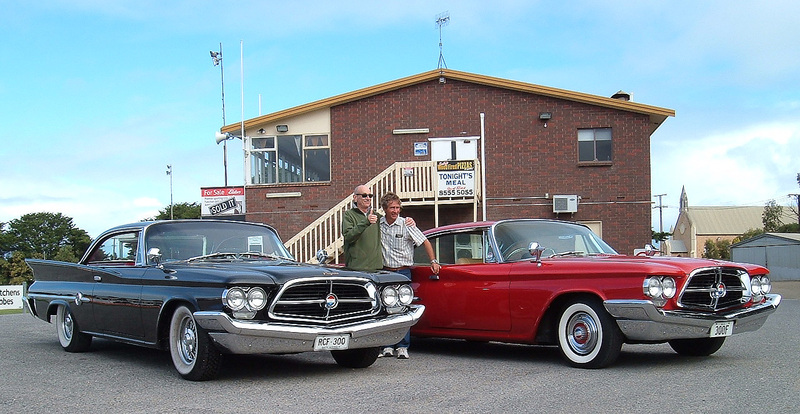 The black F car belongs to Ross Fisher of Adelaide. 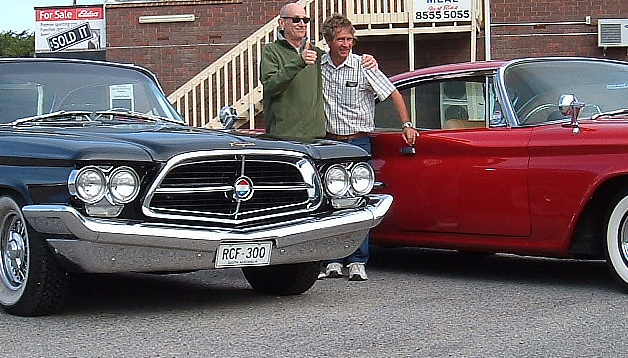 The red F belongs to Peter Wait from Western Australia. Here they are standing beside/between their cars. 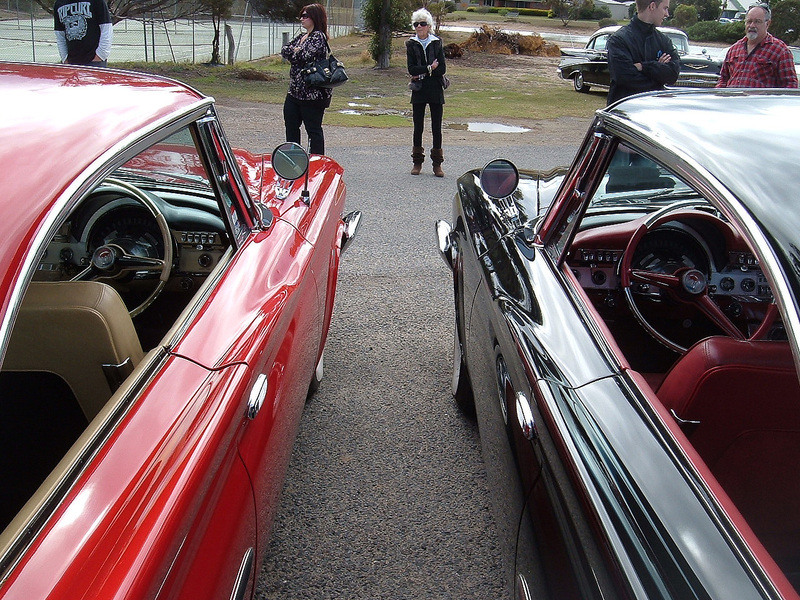 They were attending the "Zippel Anzac Day Cruise to Goolwa" on April 25, 2012. The last run for our cruise season is our longest, generally a day run, and it always on our most regarded/respected Holiday - Anzac Day. Here you can see the red F is right hand drive, the black F is left hand drive. 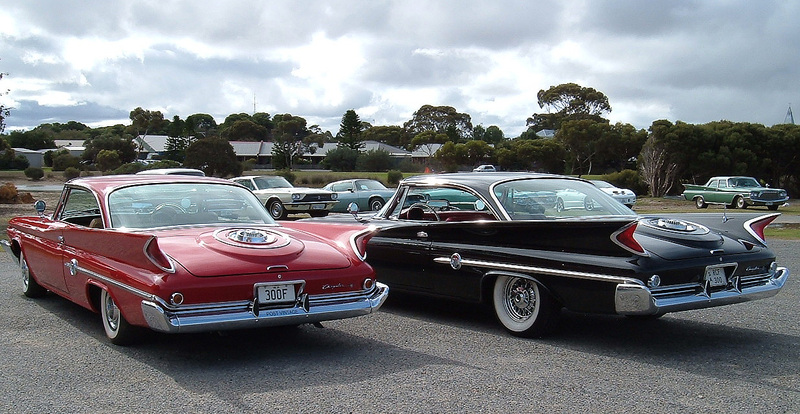 Here are some shots of the black F taken last year at the US brand car show in Adelaide. It was the first time a 300F had been there and it was mob scene. At the end of the day I finally got shots without people !!! 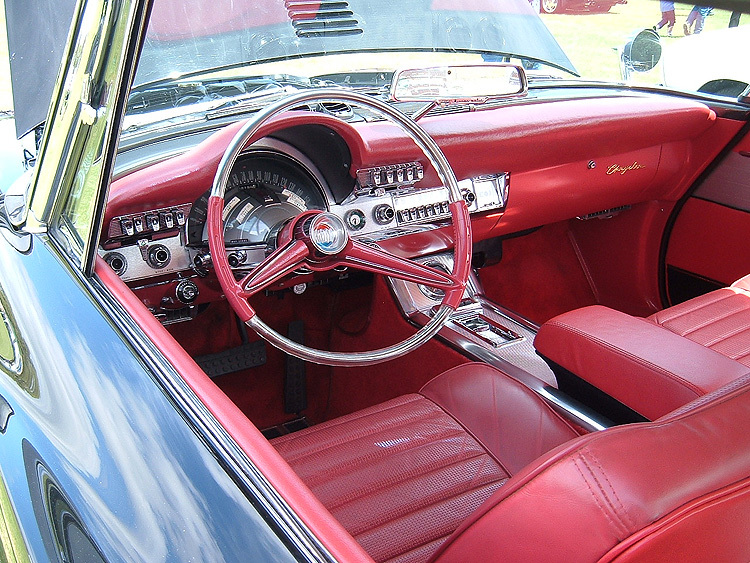 The car has red interior but not for much longer. It was that way when purchased a couple of years ago and current owner is about to put it correct - some may say that is a pity. Since their first days of autos in the early 1900s, Australia followed the UK in driving on the left side of the road with right hand drive vehicles. 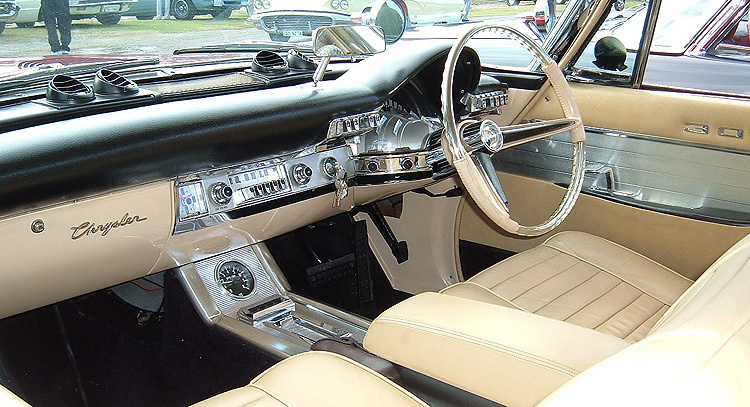 After World War II, it became difficult to both import and register left hand drive vehicles. Some think this related to a number of bad accidents with the ex-WWII left hand drive Army Jeeps common to the era. Drivers said they were seated too far left to see any oncoming cars when pulling out to pass. 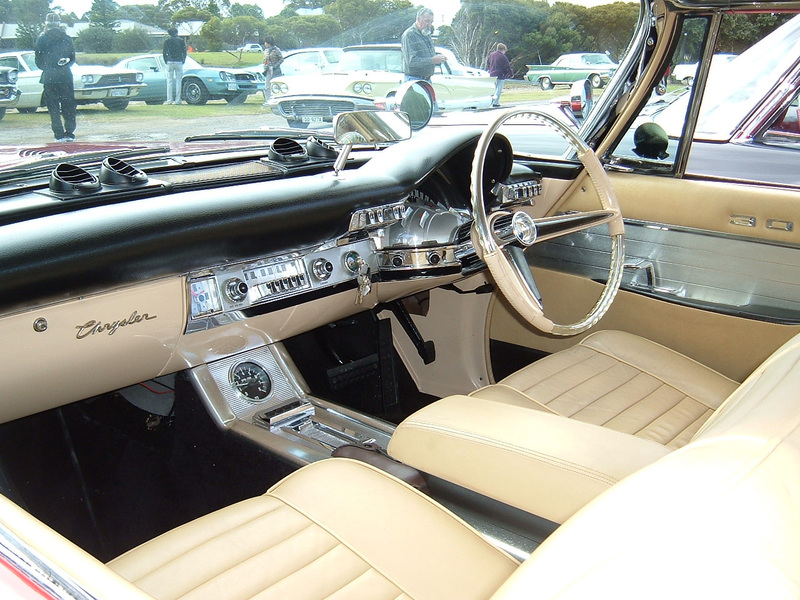 By the late 1950s, only a few Australian States allowed left hand drive cars and owners in other states were forced to convert cars to right hand drive. This was a costly and often difficult exercise. 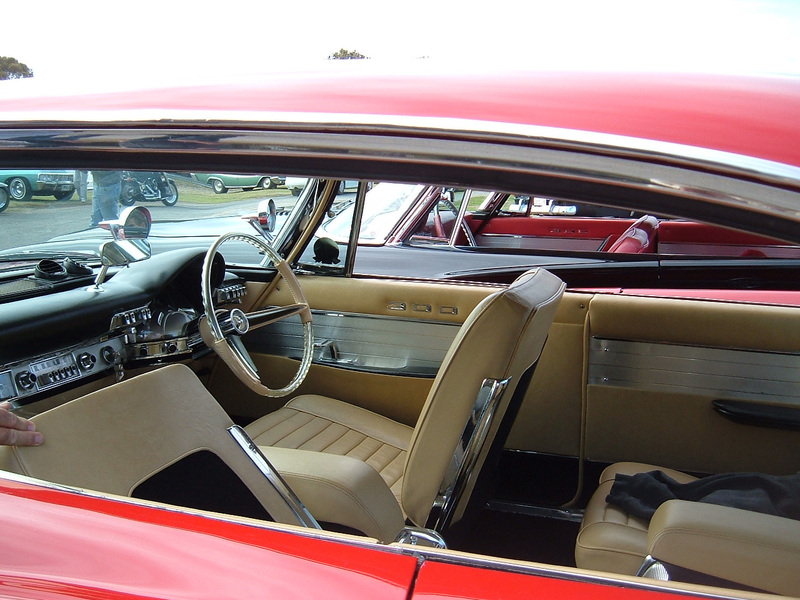 But in the 1980s, pre 60s US cars were eligible for 'Club-Historic' Registration and exempt from the conversion. 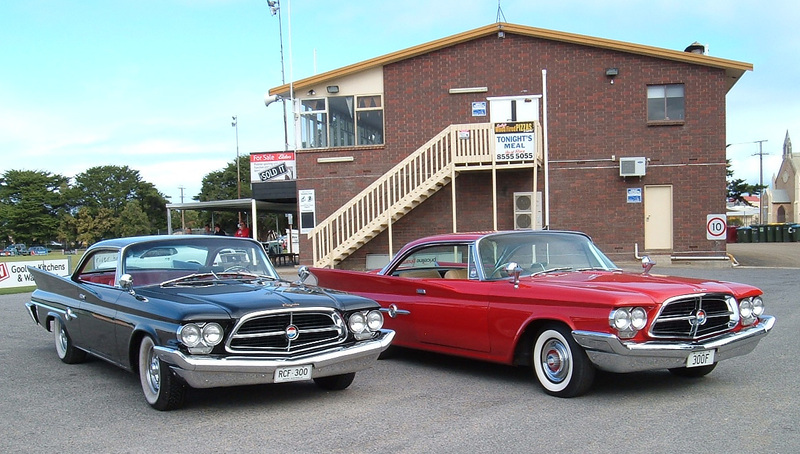 And so in Australia today two types of US cars exist - the right hand drive ones converted before the relaxed laws of 80s, and the left hand drive unaltered ones. Have you ever wondered about the problems with a left hand – right hand conversion? One big headache was the steering box. 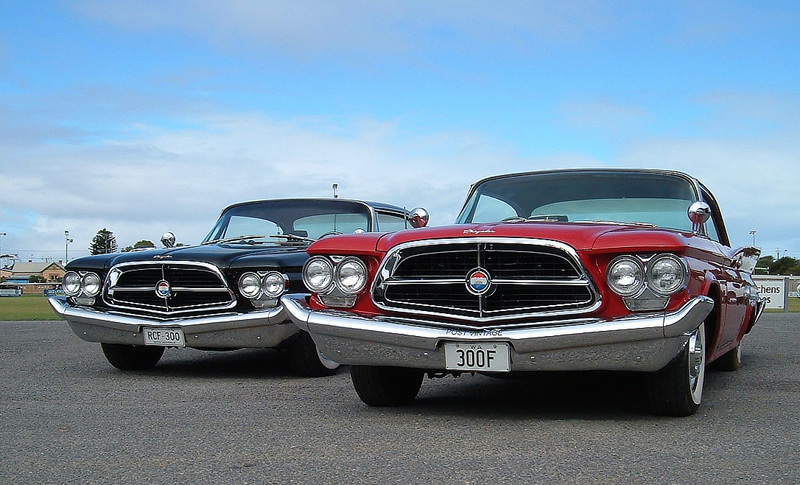 GM Saginaw made right hand steering boxes that were used in all local built 1967-75 Galaxies and if you could use that right hand steering box in your conversion, the job was easier. If you couldn't use that right hand box, frame rails had to be cut and welded around original left hand drive steering boxes. Brake master cylinder location problems were often solved by welding the brake pedal lever to a firewall cross-shaft that ran hidden up behind dash. 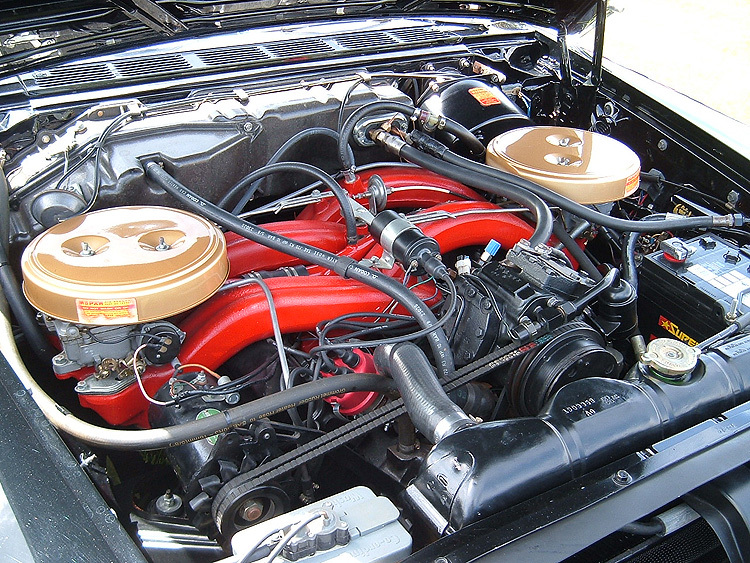 A/C and heater boxes also required new locations. 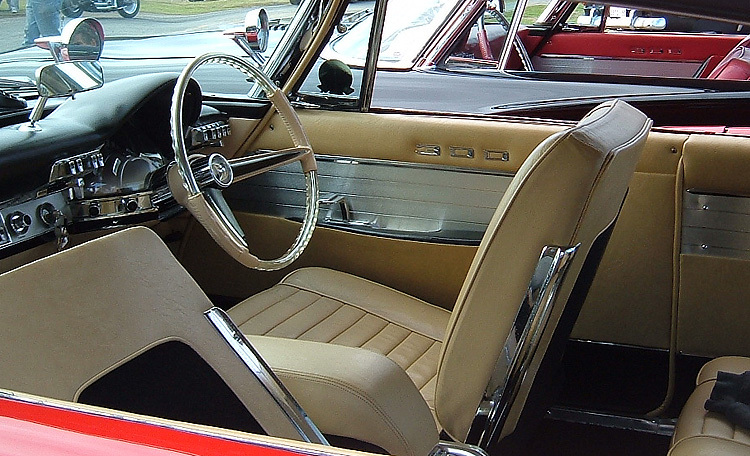 A too common fault with right hand drive conversions were the fires caused by poorly altered electrical wiring harnesses required for moving dash clusters and controls to opposite sides.